Happy New Year to everyone, hopefully it’s a prosperous 2017 to all. 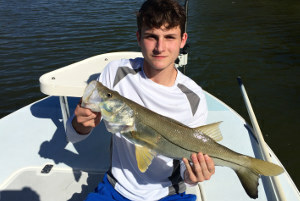 The new year is off to a great start for us fishing daily in East-Central Florida. It’s been a rather warm winter thus far, with only a few passing cold fronts. The fish are going back and forth between winter and fall patterns because it’s been so warm. 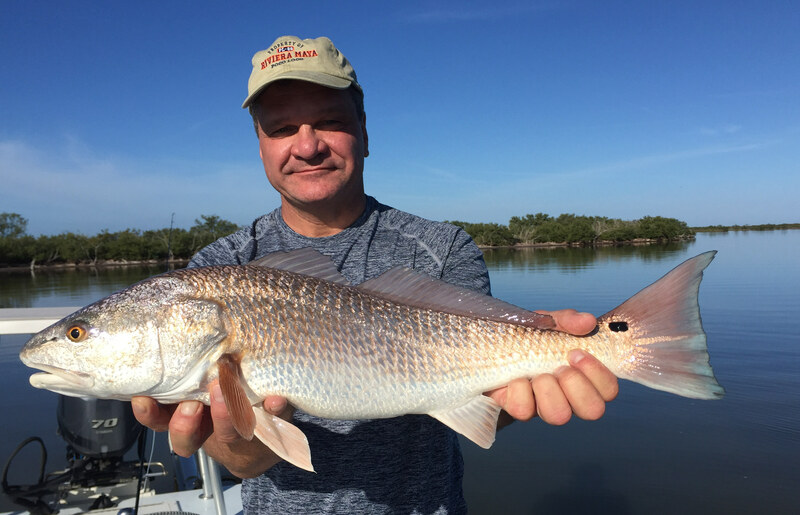 Water clarity has cleaned up considerably in both the Mosquito Lagoon and North Indian River Lagoon which allows for great sight casting on the grass flats. 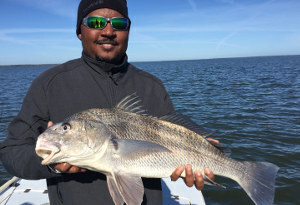 It’s been a daily dose of redfish, black drum, snook and speckled trout over the past two months. There shouldn’t be much change in that over the next 4-6 weeks as we await spring’s arrival. 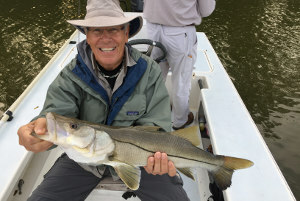 There was some crazy good snook action the last 6 weeks in few areas I routinely target them during winter months. 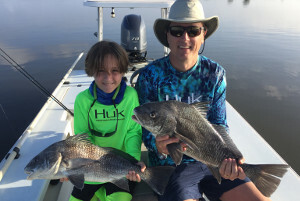 In the Indian River Lagoon that action is starting to wind down lately as the fish break from schools and move back to their normal summer hangouts. However closer to Ponce Inlet we should be able to keep it going for another month in the creeks before they too scatter. 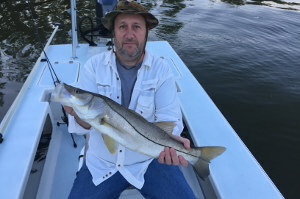 We’ve caught loads of snook up to 30”, with many guests catching 10-15 per day with me. Shrimp, mullet, soft plastics and crank baits are top choices. 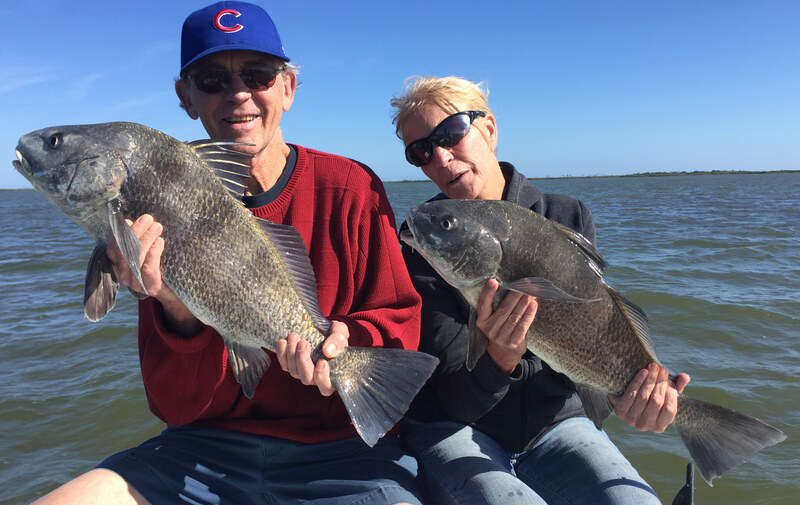 We’ve been finding a bunch of schools of black drum over the past few weeks in the Indian River Lagoon and Mosquito Lagoon. 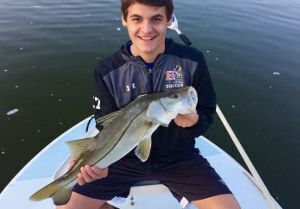 We’ve plucked fish from at least a dozen different schools that have 50-100+ fish. Most of them are in the 5-12lb range with a few mixed in approaching 20 lbs. 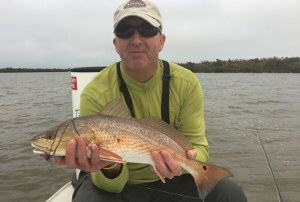 They don’t run out the drag like a redfish will, but they pull hard on the light tackle equipment we use. Live shrimp and cut crabs will both make catching easy. 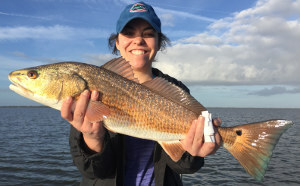 The daily redfish scenario in Mosquito Lagoon has depended on the weather. Water levels have dropped quite a bit so the schools have been getting bigger. In between the fronts they are tailing in groups over grass flats. When the cold fronts come they are laid up in sand sloughs or troughs. Clean water is yielding some great sight casting though. Most days we’ve caught 5-10 and could certainly be more if we didn’t spend a lot of time fishing for other species. 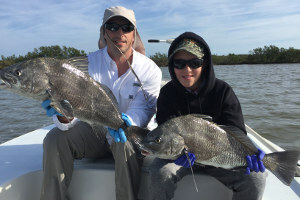 Pre-spawn schools have been forming in the Indian River Lagoon on fish in the 20-40lb range, although the groups of 15-25 fish are loosely put together and a little tough to target with wind and cloud cover lately. Based on what I’m seeing though we’re poised for a strong March-May on giant bull reds, but until then it may be a little hit or miss based on weather. 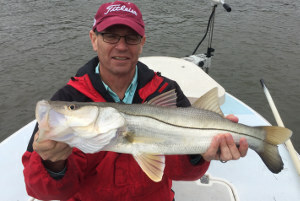 Seeing some good numbers of big speckled trout on flats in both the Mosquito and Indian River Lagoon. Truth be told, haven’t spent much time on them lately. Just catching some here and there while blind casting soft plastic lures instead of sitting and targeting exclusively with live mullet. Have seen some whopper gator trout laid up in sand spots around the cold fronts, several fish over 10lbs, with a few definitely in the 12-14lb range.